Back in the 27th issue, I mentioned the Fryxell Lake in the South Pole, the water of which is vividly blue. In this issue, let me fly you up to Northern Europe over Iceland. Here, there is a lake called the “Blue Lagoon”. 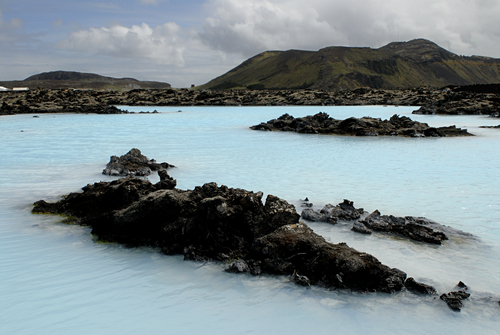 The Blue Lagoon sits in the southwestern part of the country, around 47 kilometers from the capital Reykjavik. The lagoon is spread over an area of about 5,000 square kilometres. It can be said that the Blue Lagoon acquired its status as a famous tourist attraction quite by accident. Primarily, there had been a plan to build a geothermal heating plant in this area which would function by a process of pumping geothermal water up from beneath the ground and then piping it for household consumption. However, the underground water generate intense heat of around 105-120 degrees Celsius. For that reason, there needed to be a special process to extract heat and then add cold water so that the temperature would be moderate enough for human usage (which was around 80 degrees Celsius). This process was followed by a flow of brine, which collected into a body of water that became the Blue Lagoon. Despite being a by-product, the brine is not dirty water. What is particularly special about the site being filled by this flow is that it is rich in vital minerals and medicinal plants, such as silica and algae. It has since been discovered that these minerals and plants have the power to treat and possibly even to heal certain skin conditions such as psoriasis and eczema, all without any side effects. Currently, construction of a treatment center is underway for patients suffering from psoriasis and eczema, where they are treated under the precise guidance of dermatologists and their nursing staff. Together with bathing in the Blur Lagoon, there is another form of therapy which produces impressive results. 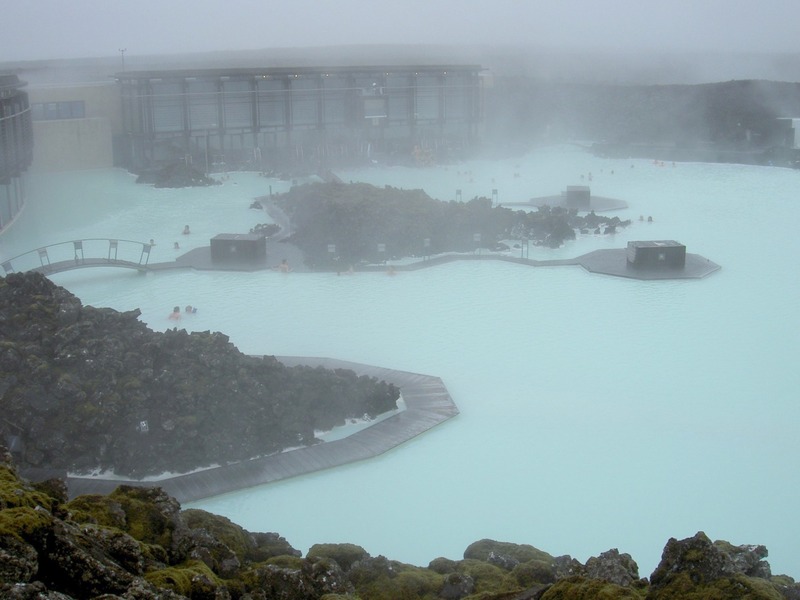 It is the use of natural products such as shower gel, white body mud or moisturising cream whose ingredients are made of minerals and plants in the Blue Lagoon. In fact, these products are developed not only to treat skin conditions but also to nourish the skin and enhance its complexion. Thus they are suitable for people of ordinary circumstance as well. 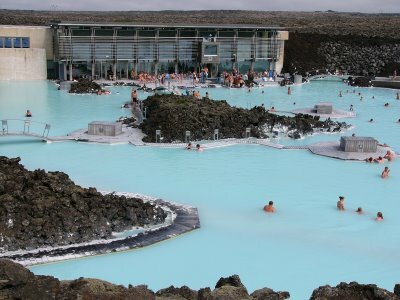 Those who believe that visiting the Blue Lagoon only means soaking lethargically in some water may wish to change what they’re thinking. The reality is that the Blue Lagoon is a hive of activity for people who lead active lifestyles. There are so many things you can do, including working out in a gym, playing golf, going on a boat cruise to view marine animals, horseback riding, cycling to take in the surrounding scenery, bathing beneath a waterfall to let the cascading water massage your neck and shoulders or watching nature’s geysers spout up from beneath the earth. 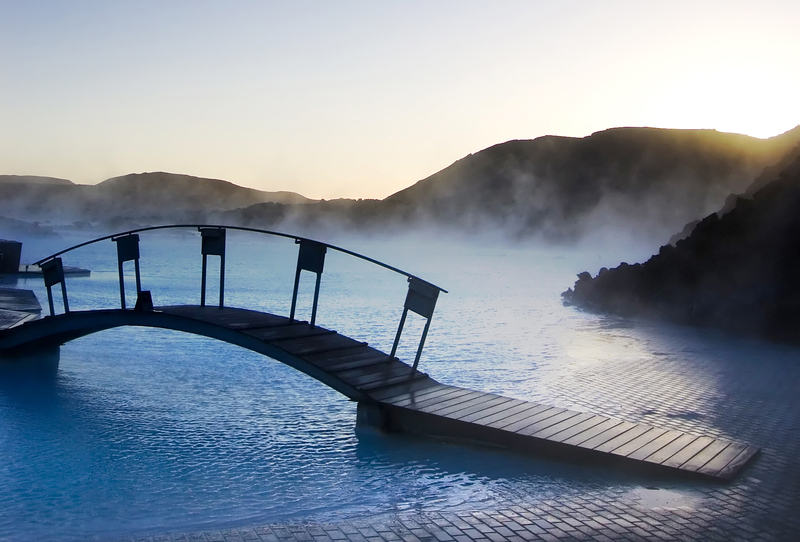 An idyllic natural setting along with additional man-made facilities puts the Blue Lagoon on the list of the 10 best medical spas in the world according to the Condé Nast Traveller’s ranking in 2010. Also, it has won the Blue Flag Award for 6 consecutive years. The Award is given to resorts which implement a range of environment conservation measures according to established criteria.